This Best Western hotel is located at 2000 Hotel Plaza Boulevard in Lake Buena Vista. There are over 325 rooms in this hotel in the Disney Springs area. There are two restaurants serving guests daily. 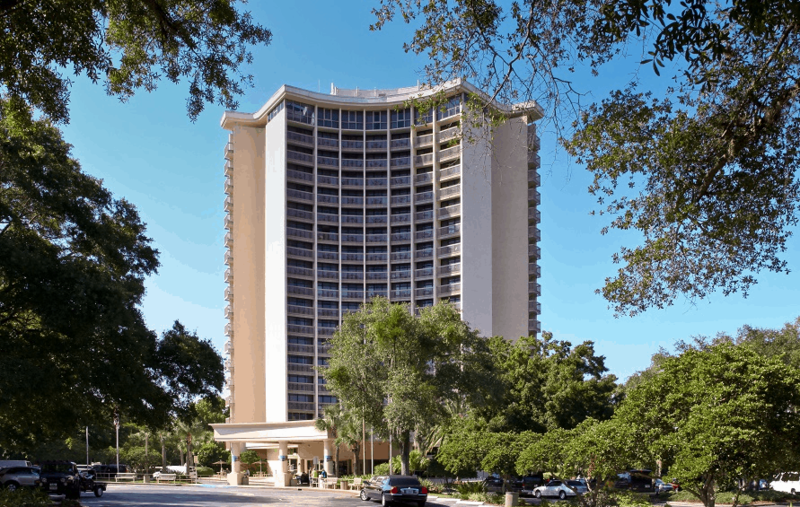 The hotel offers valet services and free shuttle service to area attractions including Disney Springs, the Walt Disney World theme parks and more. An outdoor pool is available to guests. Standard rooms—some with balconies—are available, and some room rates include breakfast. The hotel is a short 5 miles from Disney’s Hollywood Studios. Reservations can be made by calling the number above.